Read this: The science of awesomeness and how to be awesome. Why do we run until it hurts? New research may have some new answers. See, this is what feeds my fear of cows and horses. From couch to 100k AG champ in one year. Sure, an outlier, but also some good lessons about smart training and attitude. Where to go if you hate people. 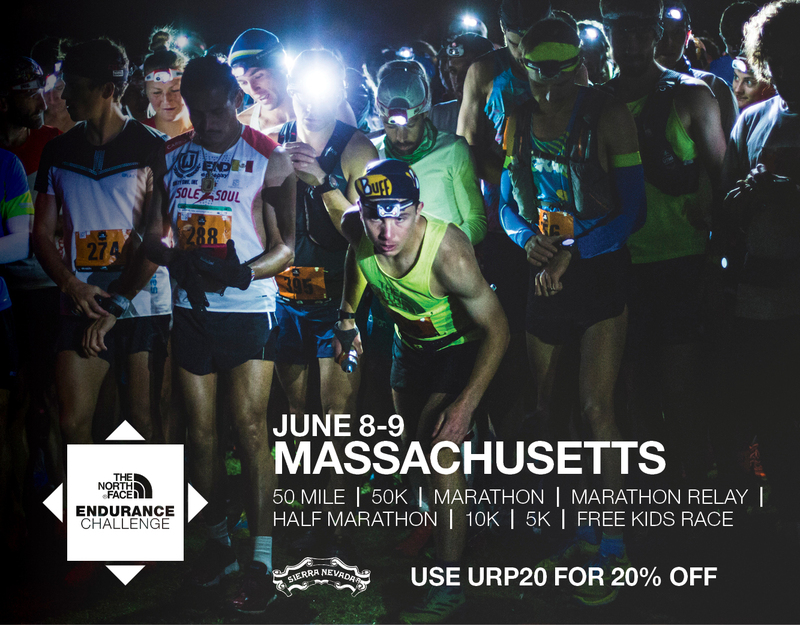 One option: An ultramarathon. So what exactly is the point in which runners or officials should help a competitor in distress? Some people are upset at the Warsaw Marathon who failed to assist Kenyan race leader Recho Kosgei, but I’d assume just as many would be disappointed if they’d assisted her. (IMHO, it would have been a lot less painful to watch if there had been someone there communicating with her, checking on her, caring for her.) Here’s a much better video of the incident. So how does Jared Campbell (3x Barkley finisher) do at a tough 50k in Canada? Finishing up a roundup on my weekend in Vermont. Race, beer, people, etc. –Excellent report from the winner of the La Sportiva Grand Tour of Skiddaw in the Lakes District, UK. Interesting look at how the Chinese-owned World Triathlon Championships operates. Would this be a model the ultramarathon world should follow? ….or maybe something more like Tough Mudder’s business model? Here’s Ghelfi’s SPOT tracker for his TRT FKT attempt. OMG LOL. DIY. RSVP. Interesting look at the highest marathon (14k-18k’) and how events like this affect small municipalities and local economies. Congressional candidate runs 450 miles around district to meet voters. Seems like a smart way to see the area and meet people. Pretty decent ultrasigup, too. If you haven’t yet read Stephanie Case’s report from Tor des Geants, go ahead and to that now. Considering her condition at the beginning of 2017, it’s almost unfathomable what she’s been able to do. Escape for a few minutes with Guillaume as he takes on a fun trail run in Romania. With the increase in attention to thru hikes, people wonder what they cost. Here’s a general answer. 16 Responses to "Ultramarathon Daily News, Wed, Sep 27"
He’s the RD for the Cayuga Trails 50, Virgil Crest and many other great NY events. You should get him on the podcast. Ian’s a good guy. … If I tried this I think my stink and sweat would drive any constituents away. Yes, he’s a really good guy. Great podcast candidate! Seriously! I’d love to have that guy on the show. “There are a lot of corporations that use Tough Mudder as a bonding exercise. Was that cultivated, or did it just happen? Besides running for Congress, Ian owns a local running shoe store and is the RD of a bunch of ultras and shorter trail races, including the Cayuga Trails 50. I’m not trying to get political here, but he’s a great guy that cares deeply about our sport and community, and his District Run is worth paying attention to. I’ll second what others have said about Ian, from communications I had with him and seeing him at Cayuga Trails 50. He’s a great guy. But I’m looking forward to hearing more about where he stands on key issues. Running is not a platform. And please don’t reply running is not about politics. Not applicable here. What! Every animal deserves our respect. A mother with calf will see us a threat and bulls…well, just stay clear of them. How many do you come across on your local trails? Eric, are they on land where races are held stateside? In Austria races run through cattle all the time. It is a bit dangerous. Most fatal incidents involve dogs though. Personally I never cut through the herd even if it takes more effort. In races I might since there is safety in numbers. I don’t not respect cows and horses, I just don’t trust them. My wife was raised on a farm and is completely comfortable with them. I was raised around the ocean and am completely comfortable in open water, where it freaks her the hell out. It might be the same cows that had an incident with somebody 3 years ago. Some of these animals have long memories. On a random side note looking at Devils Dyke from the air, the golf course there has way too many sand traps for my game. I’ll stick to running. I sympathize with Recho Kosgei, but she was the race leader after all. Any aid she received would disqualify her. We’ve all been in tough spots during a race where your body recovers enough to continue. If this was a mid or back of pack person, support could be understood but not someone getting ready to get a payday. Ohhhh 🙁 As a citizen of Hove I’ve been looking forward to running up to Devil’s Dyke again (been limited to shorter runs recently, due to triathlon training), but now I’m a bit nervous! Although I’ve only come across cows on the same side of the fence as me once so far. I’ve been trying to find out what actually happened, but to no avail. Great news selection as ever – thank you, Eric! I too agree that Ian should be a guest on your podcast. As an RD he put on some fantastic races and I’m sad that Virgil Crest had to be discontinued. That race was awesome, and got tougher every year. Maybe you can get political on it and warn everyone beforehand that there will be politics at some point in it?